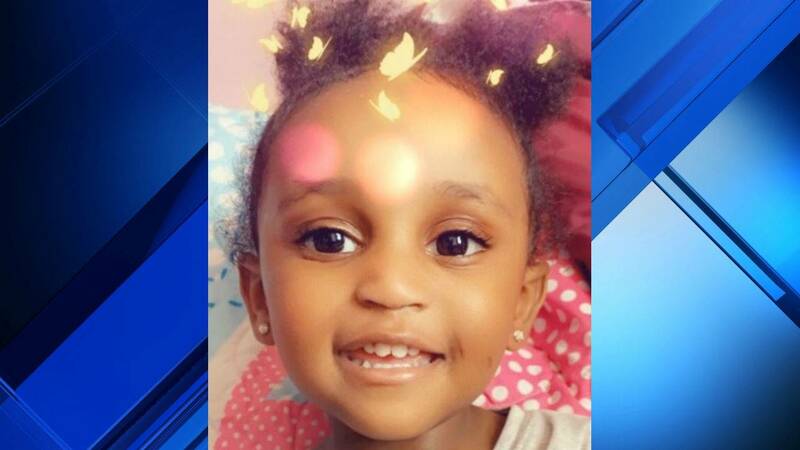 LIVONIA, Mich. - Police in Livonia say a man and woman who were wanted in connection to a nationwide Amber Alert for a 2-year-old girl from Milwaukee were spotted by an officer last week in a hotel parking lot. The Livonia Police Department released a statement Thursday explaining one of their officers enountered the suspects, who allegedly were inside a vehicle parked outside of a hotel last week during the nationwide manhunt. 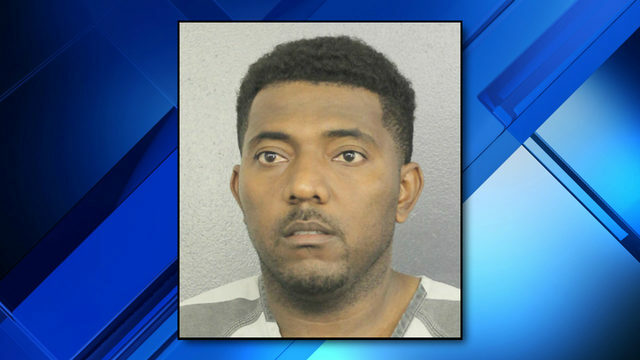 They believe the man and woman were Dariaz Higgins and Deloise Lipsey, who both face charges in connection to 2-year-old Noelani Robinson's mother's death. The toddler was found dead Saturday after going missing on March 11. Minnesota law enforcement said she died from blunt force trauma to her head. 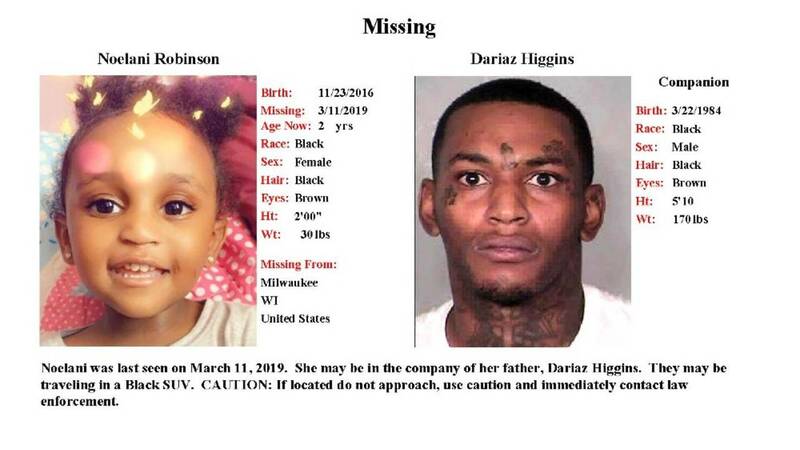 Higgins and Lipsey both were arrested March 13 and charged in connection to the killing of Sierra Robinson, the girl's mother, in Milwaukee. But they were not arrested until after they allegedly fled with the toddler to Minnesota, then were spotted in Michigan. It was believed that they traveled to Detroit, then to Lansing where officers encountered them. They both returned to Milwaukee without the girl, who was found dead in Minnesota. 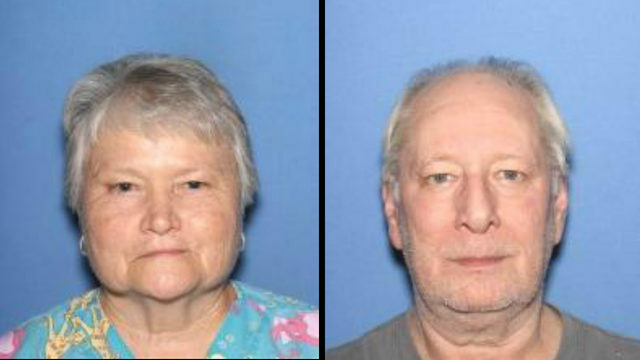 Livonia police beileve the duo were in their city during the nationwide manhunt. "Working with Milwaukee authorities, we have learned that the suspect left Livonia and drove back to Milwaukee where he was eventually apprehended by Milwaukee PD," reads a statement from Livonia police. "While being interviewed by Milwaukee detectives, the suspect confirmed the interaction with the Livonia Officer." Last week, a Livonia officer assigned to the afternoon shift was being proactive and looking for suspicious activity. While in a parking lot of a local hotel, he observed a parked, occupied vehicle. The officer decided to make sure that there were no problems between the male and female occupants. The female quickly exited the passenger side of the vehicle. The officer exited his police car and approached the vehicle. The male driver seemed nervous. Within a short time, the driver put the car in gear and sped away, leaving the female and officer in the parking lot. A short distance away, Livonia officers recovered a sawed off, semi-automatic rifle. The next day, an off duty Livonia officer saw a news report of a subject wanted for murder in Milwaukee and who is a suspect in the disappearance of a 2 year old child. The off duty officer noticed that the suspect from Milwaukee matched the description of the individual that fled from the hotel parking lot. Working with Milwaukee authorities, we have learned that the suspect left Livonia and drove back to Milwaukee where he was eventually apprehended by Milwaukee PD. While being interviewed by Milwaukee detectives, the suspect confirmed the interaction with the Livonia Officer. He indicated that the semi-auto rifle, which is the murder weapon, was along his leg as he sat in his car. He saw the Livonia officer and was going to shoot and kill him. The suspect had nothing to lose. He had already shot and killed one person. Shot and critically wounded another, and tragically, we now know that the missing two year old was also killed, dying of blunt force head trauma. At the time of the encounter, our officer was unaware of any of the Milwaukee events. This incident is one demonstration of how our officers never know who/what they may encounter. A simple traffic stop, or in this case an inquiry into suspicious behavior, our officers are always in a reactionary mode. We are very fortunate that this encounter turned out as it did. Our sympathies to the families that suffered the loss in Milwaukee. Please keep our officers in your thoughts and prayers. We appreciate your support. 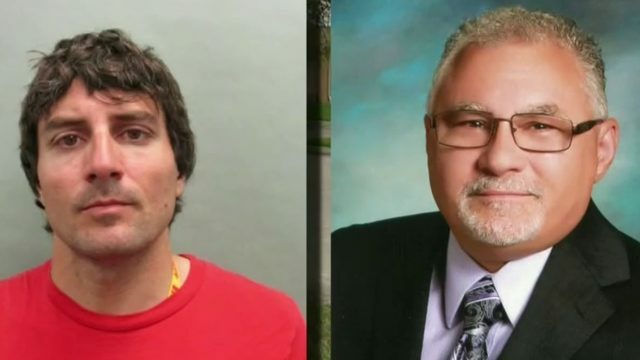 According to a report Thursday from JSonline, the duo went to Minnesota first, then back to Milwaukee, then to Detroit (or as it turns out, Livonia), then to Lansing, and then ended up back in Milwaukee where they are now in custody facing charges. 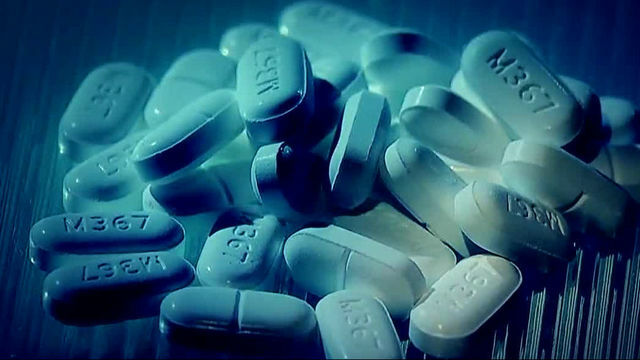 At one point law enforcement indicated the child could have been in Ann Arbor after Milwaukee police got a tip. That turned out not to be true.